The end view of a Pendlay Bushing Bar. 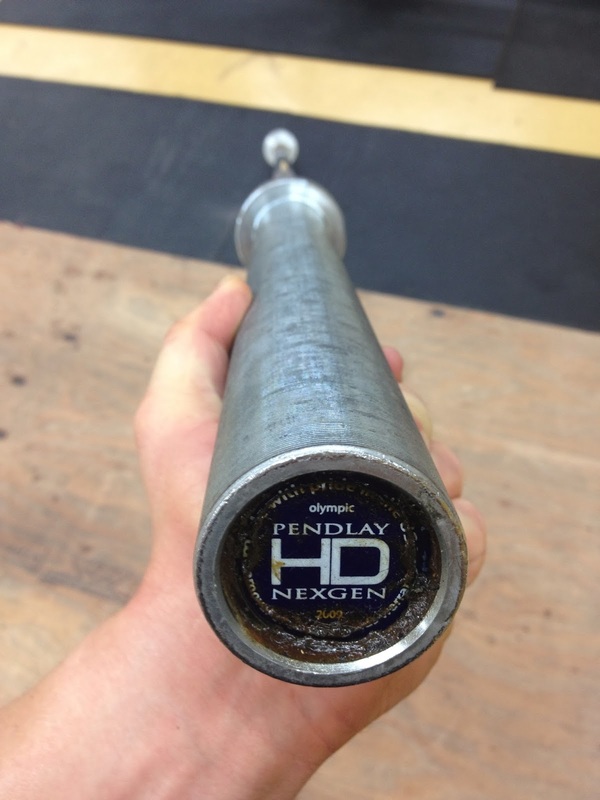 I have periodically used a Pendlay Nexgen HD bushing bar over the last year in my Olympic Weightlifting training. The whip, and the knurling is good, but I prefer the DHS needle bearing training bar instead, due to the spin. The spin can be quite sluggish on the Pendlay bushing bars and need regular oiling. One way I can tell if the spin is good is when I barbell roll my legs over the shaft. On a needle bearing bar the barbell rolls nice, on the Pendlay Bushing bar the barbell does not rotate well and ends up pushing forward instead of rolling. Top view of a Pendlay HD Nexgen Bushing Barbell. The one thing the Pendlay bar has over the DHS bar, is that it does not have center knurling. I have one of the original Econ HD Pendlay bushing bars from a few years ago and let me say that the Nexgen series is much better in terms of spin, whip, and knurling. They are all tough bars though, made in the USA with minimum 190,000 PSI tensile strength, and they are all backed with a lifetime performance guarantee. In terms of price for performance, I would say this is an excellent choice for people training in the Olympic lifts. 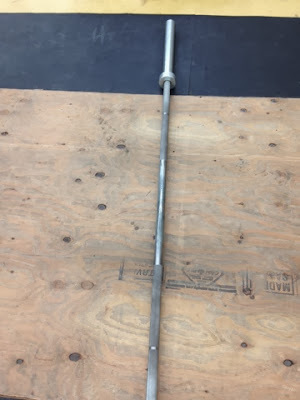 The Pendlay Bearing bar does have better spin than the bushing bar and is worth the extra $200 if you are a serious Olympic Weightlifter.